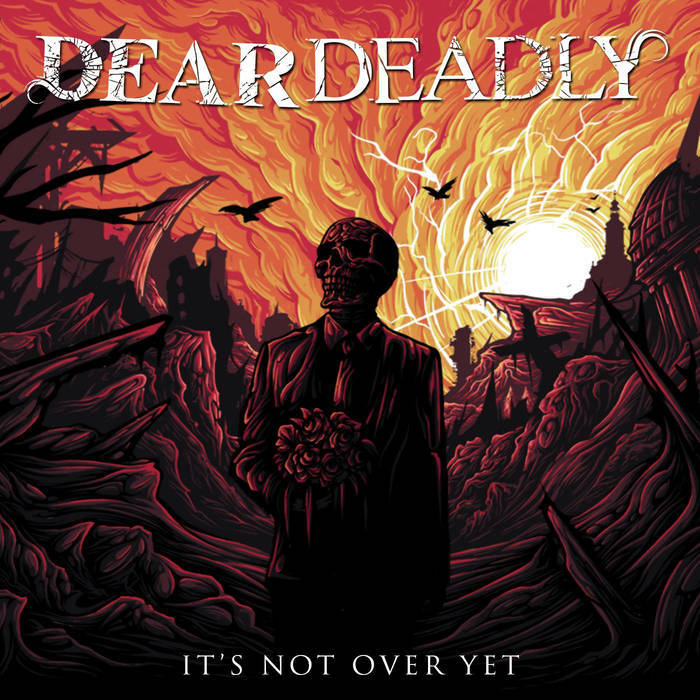 Dear Deadly is a modern hard rock/ nü-metal/alternative metal/metalcore band that Facebook suggested I check out. Formed in 2011 and featuring a current line-up of Eric Lugo (vox), Benny McCulloch (guitar and vocals), Kirk Perecich (guitar), Bryan Schroth (bass), and Kyle Biba (drums), Dear Deadly is another band that is based in Chicago, Illinois. Having just posted a review of the full-length debut from Satan's Hallow, Dear Deadly proves my earlier point that when it comes to the Chicago metal scene there is a lot of variety going on! Whereas Satan's Hallow is a traditional heavy metal band with 80's metal and N.W.O.B.H.M. influences, "It's Not Over Yet" showcases a hard & heavy rock band that is inspired by alternative metal, metalcore, nü-metal and modern metal. This six-track recording was preceded in life by two singles from 2016 ("The Hopeless" and "Deviant") and as far as production and the overall performances go, Dear Deadly's new EP gets high marks all around. These songs are well-written and the band is spot on with their delivery. While it might not be my cup of tea,"It's Not Over Yet" has my respect for what it is and for the slick way in which this tight band delivered it. I fully admit that this up-and-coming band has peaked my interest in what they are fully capable of. It's also a guilty pleasure of mine, but I would have no qualms about recommending this release for fans of (early) Linkin Park. And that is a secret that I planned to take to the grave with me!